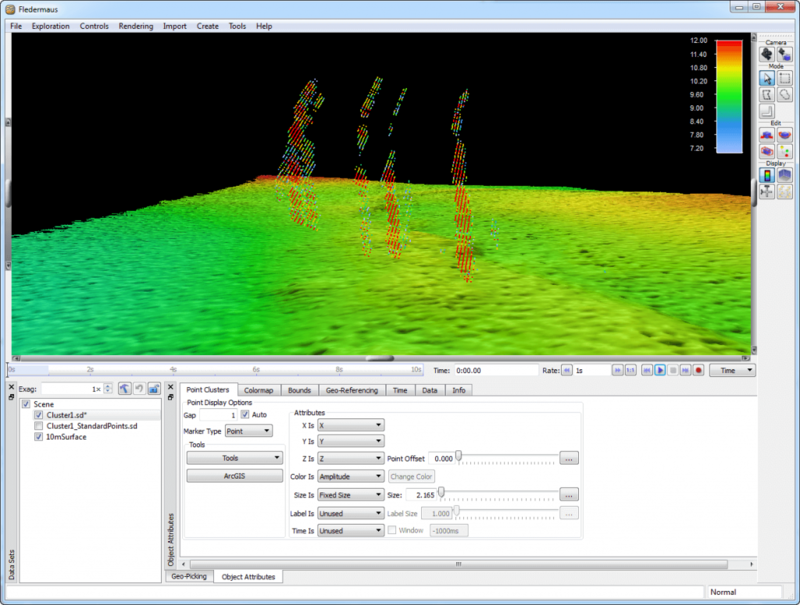 4D analysis toolbox, with movie-making tools and integrated video. The gold standard for presentation and communication. 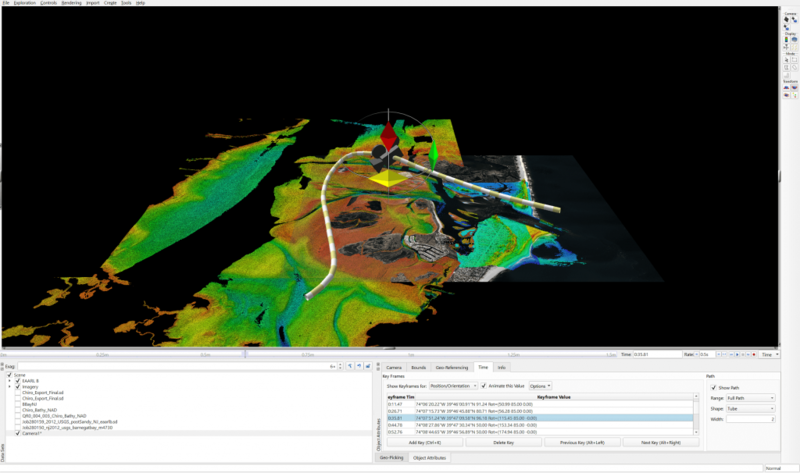 Fledermaus presents the utmost in integration, capabilities, and communication. 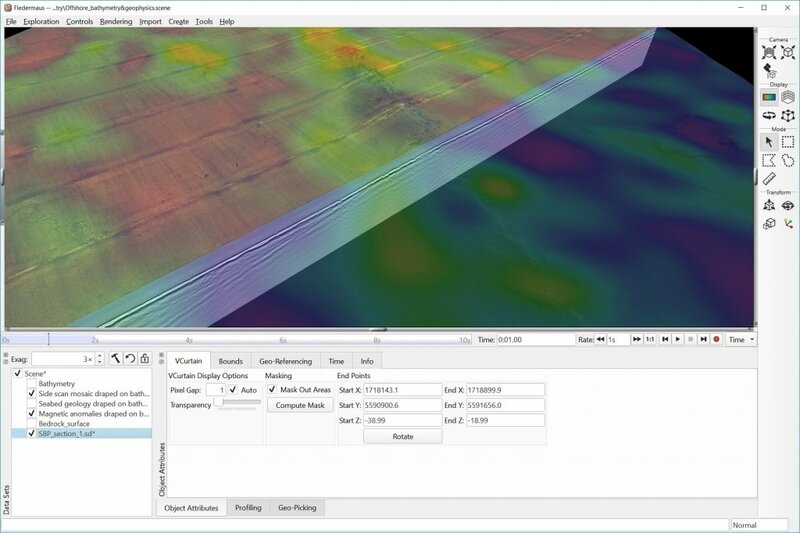 Support for a wide variety of ungridded and gridded data. The most robust analysis toolbox. Takes presentations to the next level. 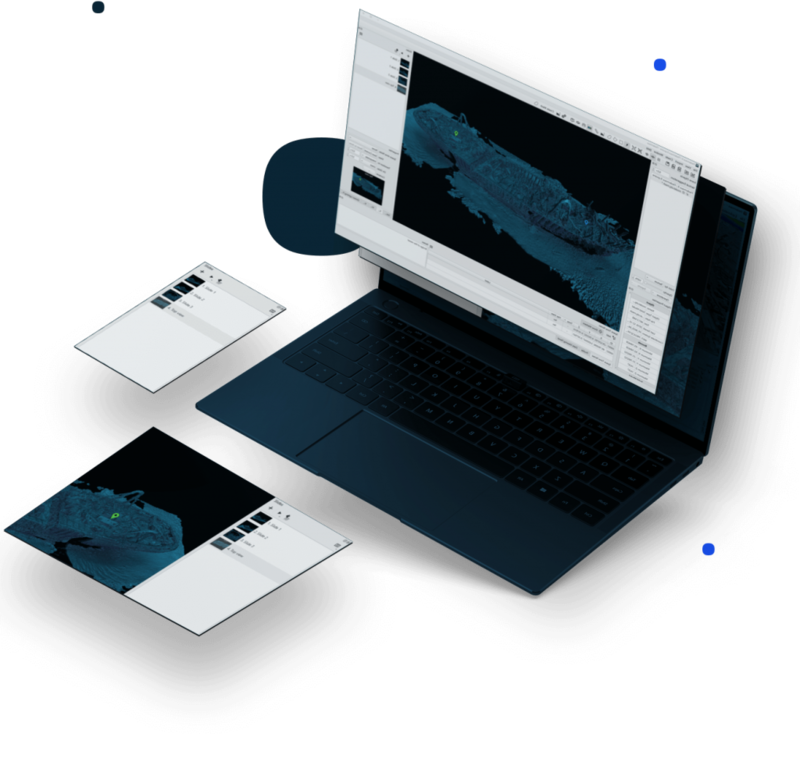 Fledermaus unlocks the potential of your data, with a wide variety of analysis tools working in 3D or 4D space. 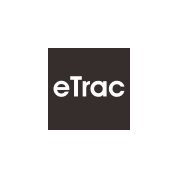 With fast and easy presentation tools, show your data better than ever before. 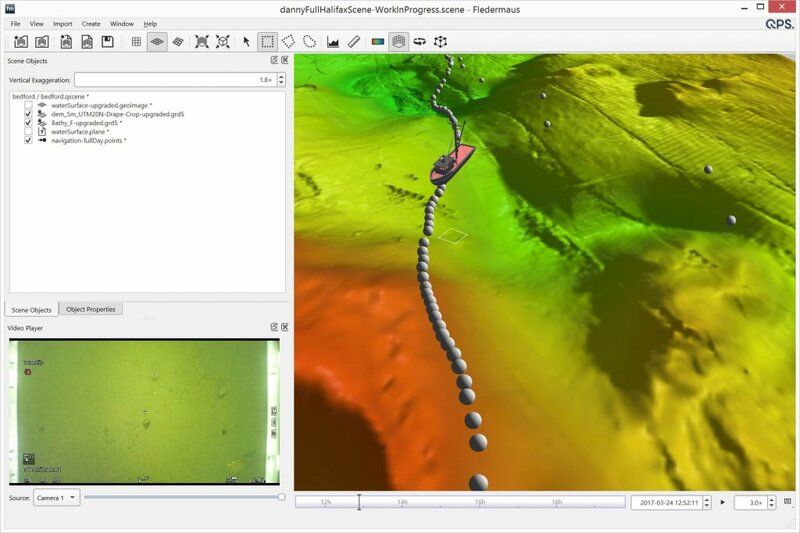 Fledermaus supports a very wide variety of data types for direct import, where realizations and connections are made among data types in 3D and even 4D space. 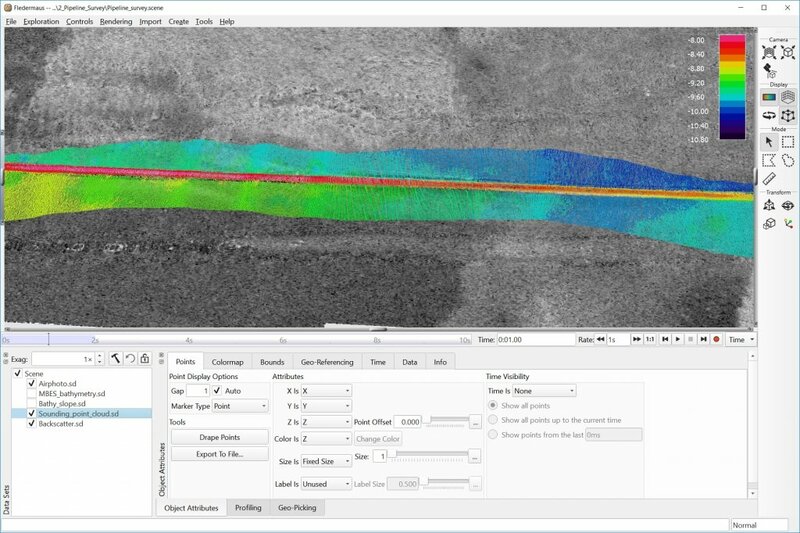 The extensive functionality of Fledermaus allows its use across many phases of a project from the planning, processing and QC, through to analysis and production of images, plots, and videos. Analyze over time and space. 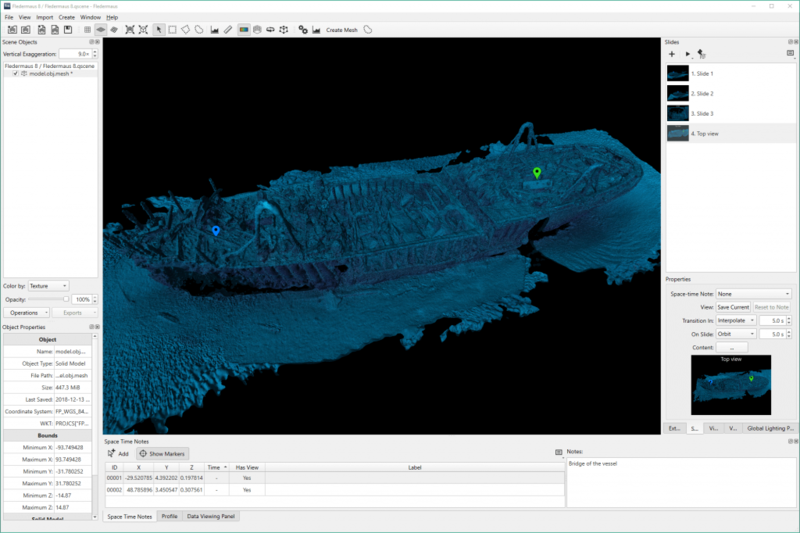 Direct import to a wide variety of data into 3D space, with support for time-linked data sets and 4D functionality. 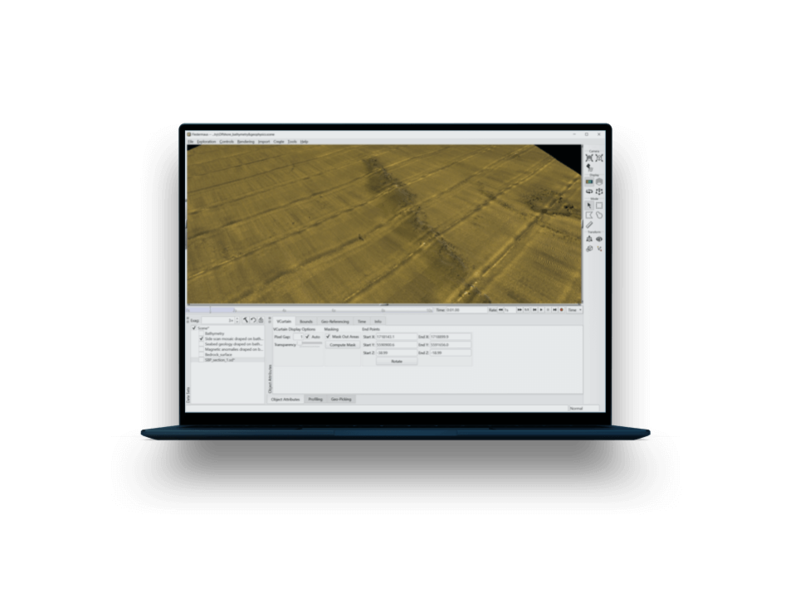 Grids, points clouds, rasters, imagery, CAD, ENCs, photos, KML, KMZ, and more. 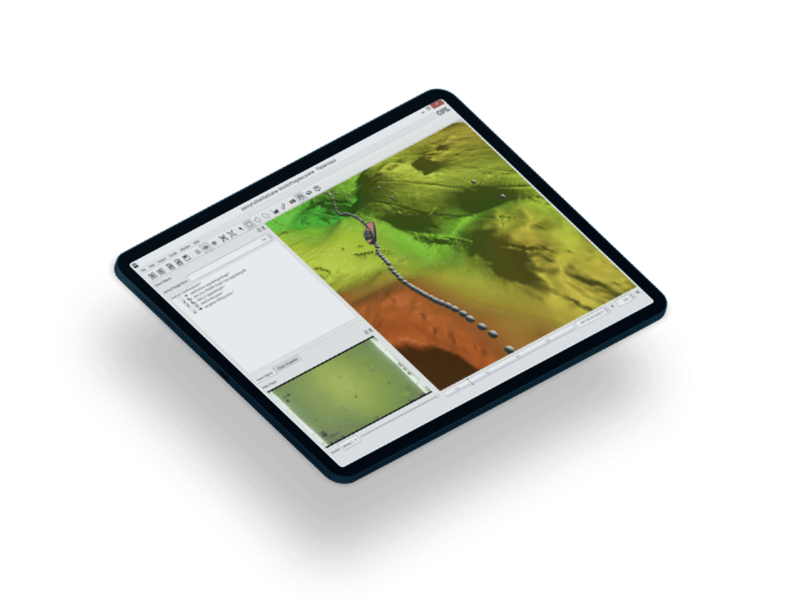 Create a direct two-way link from Fledermaus to ArcGIS Geodatabase and suite of GIS tools. 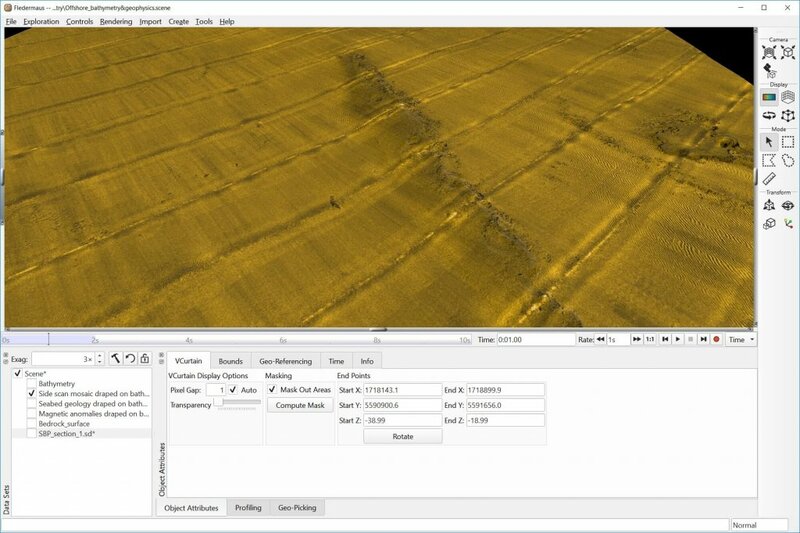 Embrace the Fledermaus technology for unmatched functionality with imagery, rasters, gridded and ungridded data. 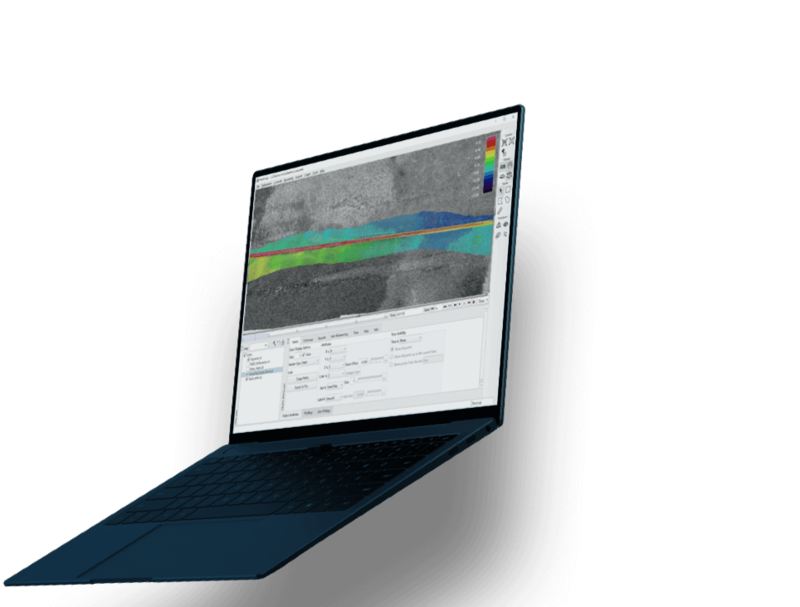 Drape side scan mosaics, backscatter, charts, class, textures, and various imagery onto surfaces. 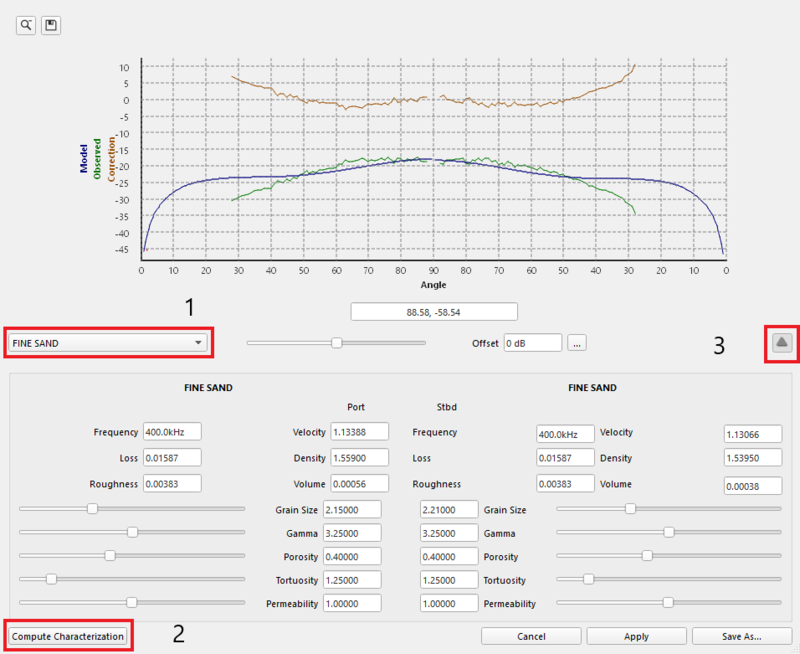 Slope, rate of change, surface differences, and long and cross profiles. 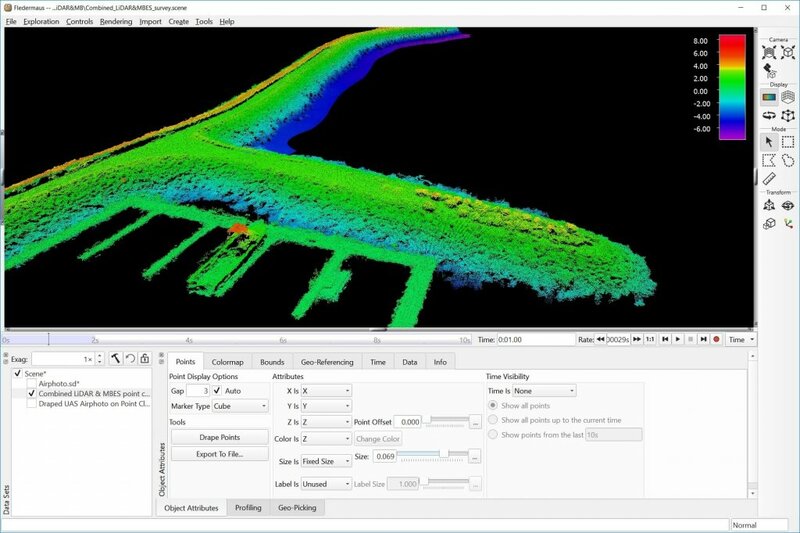 Get the most out of your multibeam. 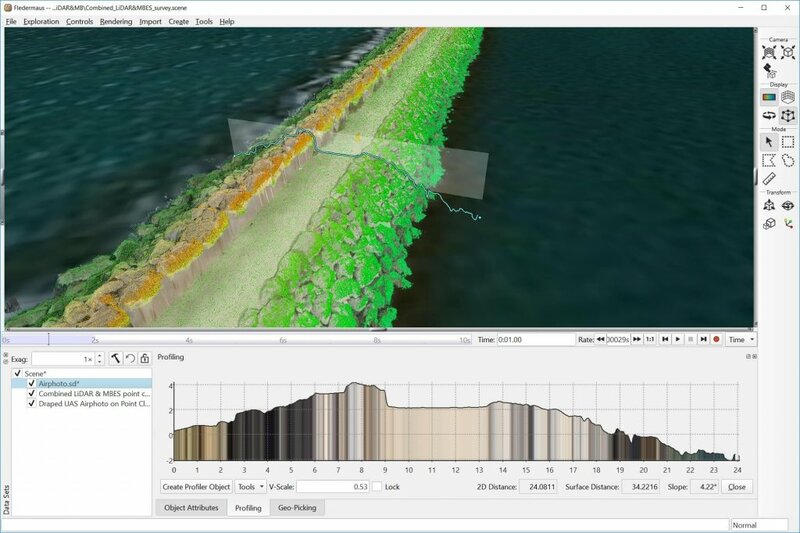 Multibeam backscatter processing, to infer sediment types from seabed snippets or to find targets in the water-column. 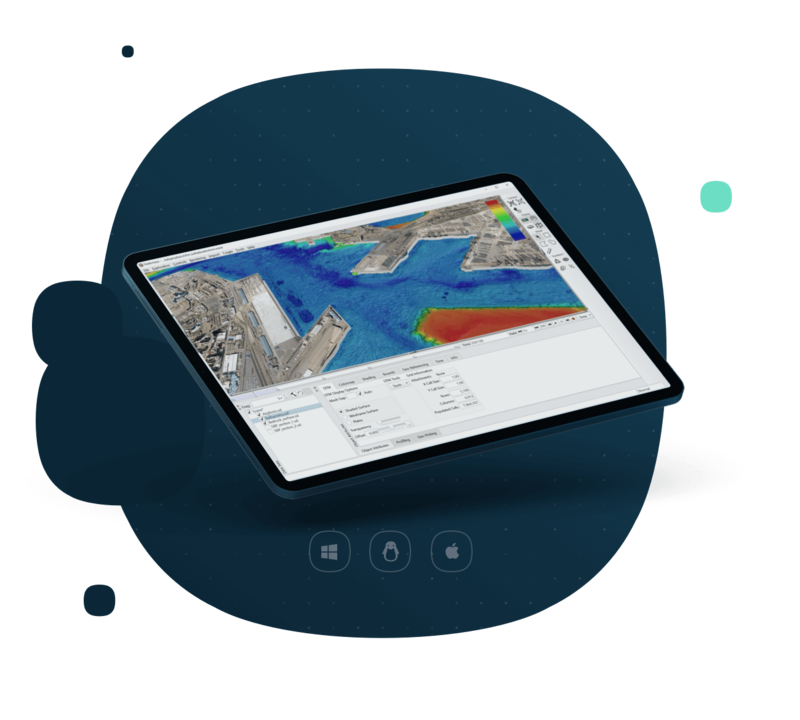 Workflow support toward hydrographic, geological, environmental, offshore, exploration, coastal zone mapping, habitat mapping, marine construction, and large immersive visualization. 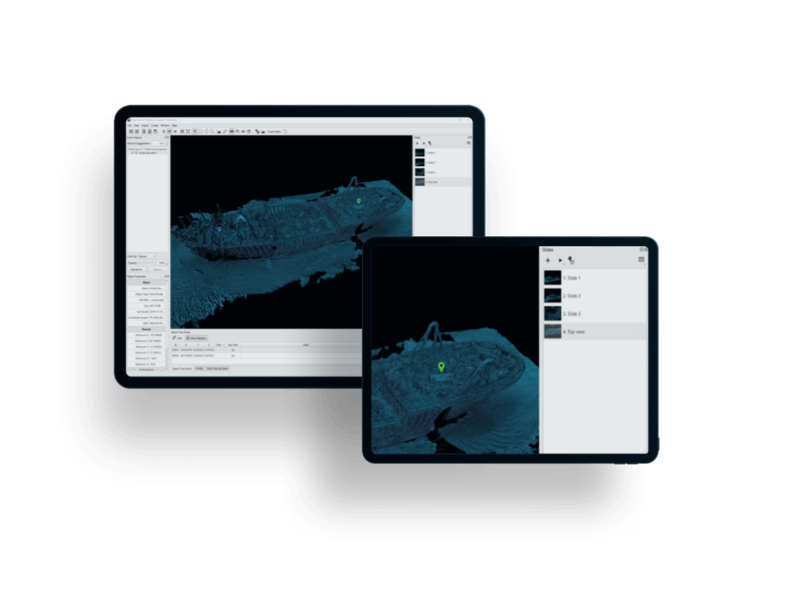 Stereo-capable 4D functionality brings the time element to your data, greatly enhancing analysis, visualization, and reporting. 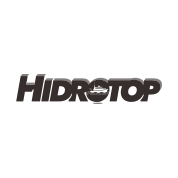 Integrated video allows for synced playback with data. Calculate object and surface changes including rate of change. 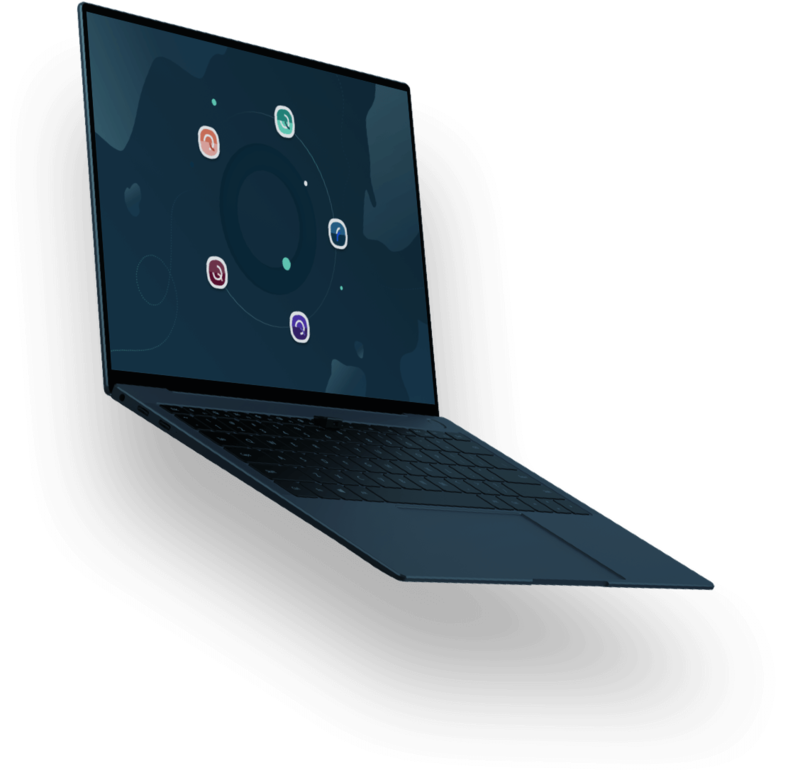 Create movies and presentations in 3D or 4D space, and export to video, images, snapshots, gif, etc., for easy playback and sharing. 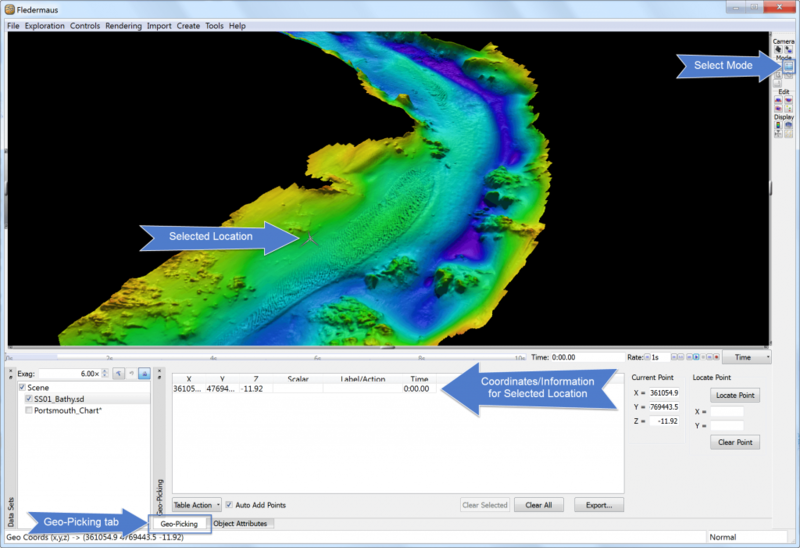 Slide changes through preset time/space views, with easy text/image insertion atop data. 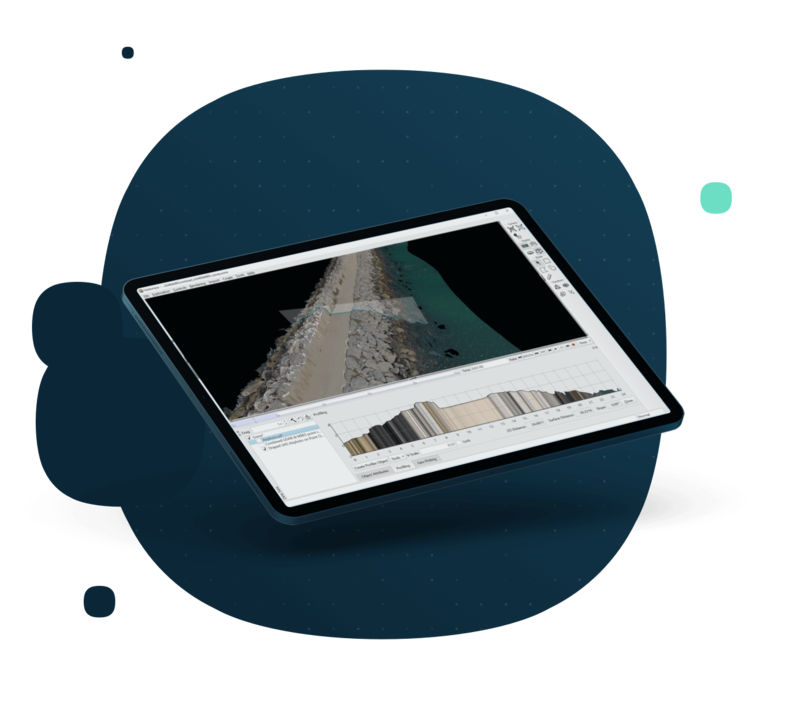 Create and record Fly-throughs in 3D space to best showcase your data. 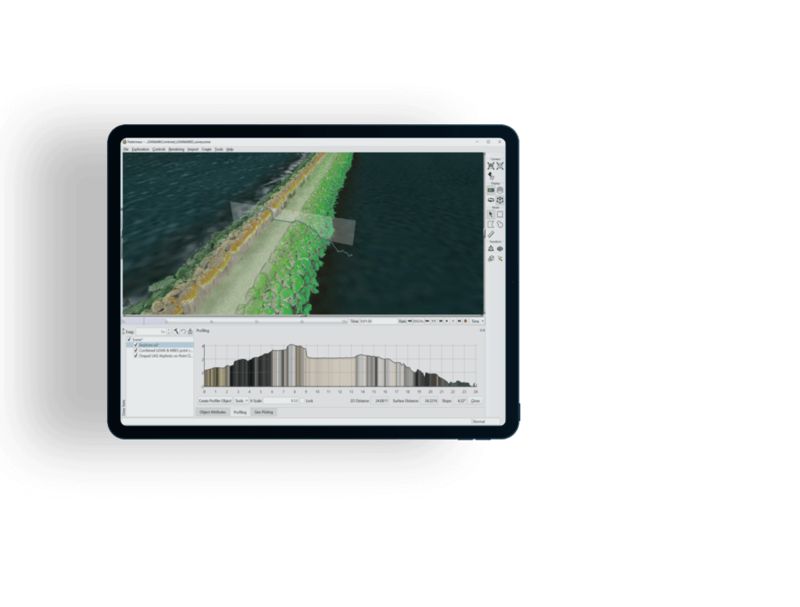 Fledermaus 3D visualization provided me better planning for jackup rig access, in addition to better understanding of the bathymetry, guiding me in pipeline route planning and design. Great technical support from the team, too. We innovate. Licenses keep you on the cutting edge of the industry. 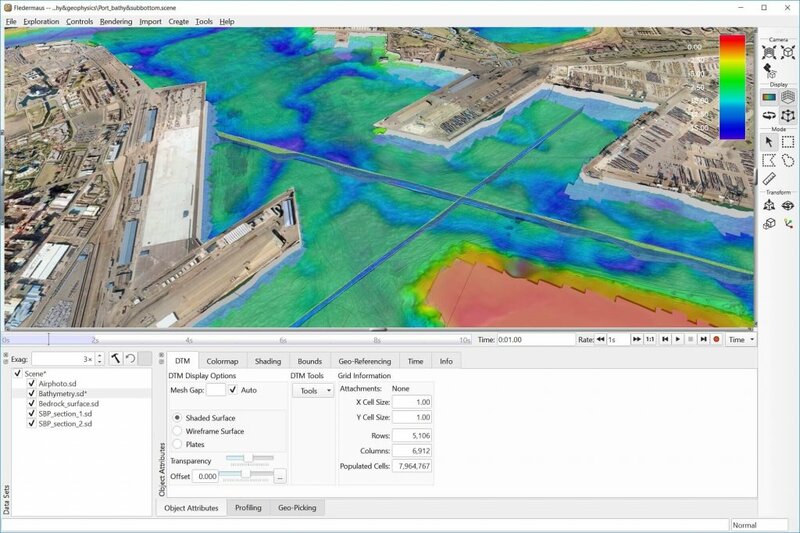 Survey planning, acquisition, and real-time data processing. 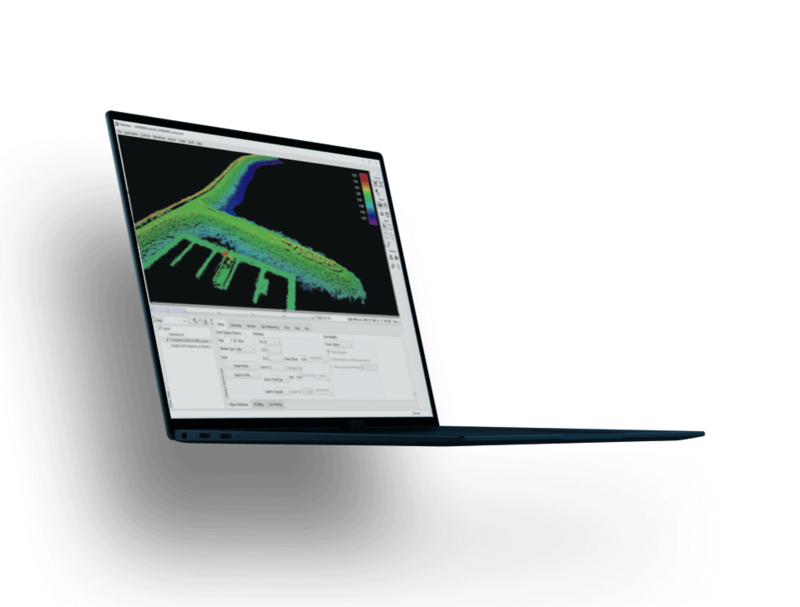 Everything you need to know about Fledermaus is below, with regards to specifications, supported platforms, system requirements, and supported file formats. Learn Fledermaus quickly and effectively with our how to guides.